By Dr Felicity Coughlan, Director of the Independent Institute of Education – As thousands of last year’s Grade 12 learners count down the days to their first day at university or college, they’ll be faced with mixed feelings of excitement and anxiety. Excitement about a new experience of life as a young adult, but also anxiety about whether they are going to succeed in their new educational venture. This anxiety is quite justified, as often conflicting demands can take their toll on a student and his or her performance. Success is a personal thing as it is closely linked to personal and social ambition and is not just measured by the quantitative things such as how many subjects are passed or what mark you got in each of them. What the attributes are of successful students (those who achieve in the things that are easily measured as well as the personal definitions of success) is a widely studied area. Many of the attributes are in fact “characteristics” of people rather than skills, but it is also true that these characteristics can be developed through a disciplined intention to behave in line with them until they become natural or habitual ways of interacting with the world. Put differently – even if these things are not naturally part of you, a decision to make them more a part of your life will contribute directly to achieving success. Attitude: An individual’s attitude tends to be a common measure determining whether they will succeed in anything that they do. A student with a positive attitude possesses the ability and willingness to learn new subjects even if some of them are not interesting. She is able to realise the importance of the entirety of the subject towards the overall success in the course and does not give up easily. A student with a positive attitude will also take advantage of all the institutional support provided. A successful student is goal-oriented and believes that she can and will succeed. Academic skills: A student cannot succeed if he does not possess the skills to deal with academic work at university or college level. Studies have shown that acquiring the academic skills needed contributes enormously to success – more so than simple measures of innate ability (2006 NPEC Report). At college level, students are expected to study independently most of the time. Without the ability to read comprehensively, write effectively, speak fluently, and to communicate clearly, chances of success are reduced. Students should therefore actively engage in acquiring these skills through workshops or feedback or practise. Interpersonal skills. Much as college or university studies demand an amount of independent work, a successful student is also a student with positive inter-personal skills. This increases the student’s ability to interact with other students, make friends and be an active member of study groups. It also enables the student to seek out and use help when it is most needed and therefore feeds positive attitude and the development of academic skills. Self-motivation and self-discipline: At university level, students are expected to work more independently and with much less direction from lecturers than at high school. More so if they study online. This requires a lot of self-motivation during those times when the lecturer is not there. Much self-discipline goes into the completion of assignments on time, research and doing other academic activities. A student whose goal is to succeed is able to stick to this kind of discipline. Students who generally lack this discipline will also not seek out ways to master a positive attitude or the relationships or skills they need and the cycle becomes self- reinforcing. Good time-management skills: Successful students learn how to manage their time. This goes together with self-discipline. Being able to manage time, the student is able to prepare for various academic activities, including preparation for tests and examinations. The student is able to communicate effectively with lecturers due to the ability to prepare ahead of time and stick to appointments. Procrastinators do not succeed. Perceptiveness:Student perceptiveness starts with the selection of a career and going to college or university to pursue it. This means that the student is accurately able to interpret her ambition and then seek the right route to achieving it. On a more micro level, a student who can interpret and perceive meanings from the curriculum and general conversations is better able to master material and structure arguments. A good student almost always perceives right meaning from conversations, but an average student often misunderstands the original thoughts, ending up with wrong conclusions. This attribute is perhaps the hardest to develop as it relies on more than acquired habits. One thing that a student could do to build this ability is to deliberately invite feedback from others on meanings and conclusions being reached. This will only work if that feedback is then accepted and one is able to keep one’s mind open to the fact that your interpretations may be incorrect. A willingness to challenge your own interpretations will deepen your ability to reach conclusions about meaning that you would not ordinarily have been able to do. Ultimately, it must be recognised that successful students will not be able to sustain their success without institutional and parental support. It is a holistic responsibility that we all have to be conscious of, and to which we must be responsive if we are to improve the overall outcomes in SA’s tertiary education. 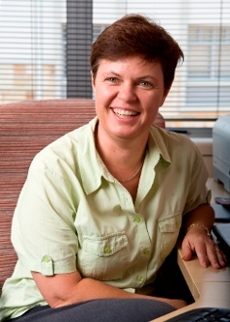 * Dr Coughlan is the Director of the Independent Institute of Education, which is responsible for the academic leadership and governance of education and training on 21 registered higher education campuses in SA.